Well, we’ve come to the end of another wonderful season of reading, sharing, and bonding over great books! 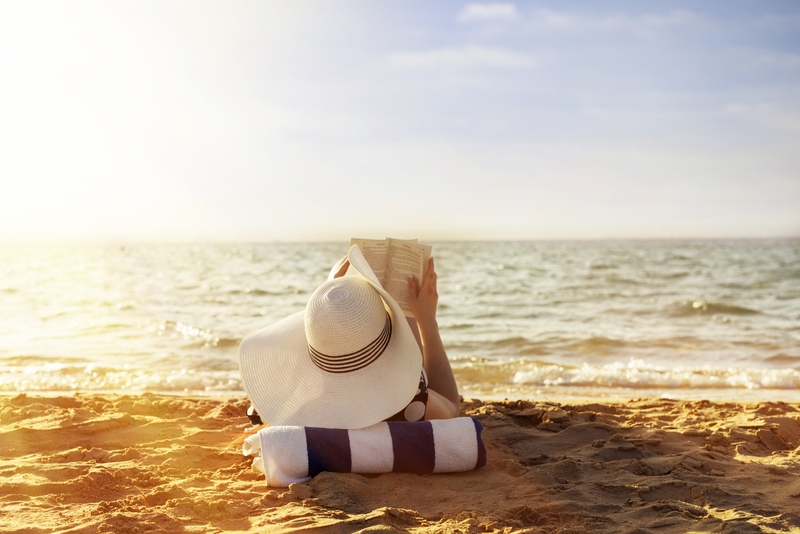 And now it’s time to kick our feet up at the beach–grab your sunscreen, your swimsuit, and don’t forget that most essential ingredient of all: your beach read! 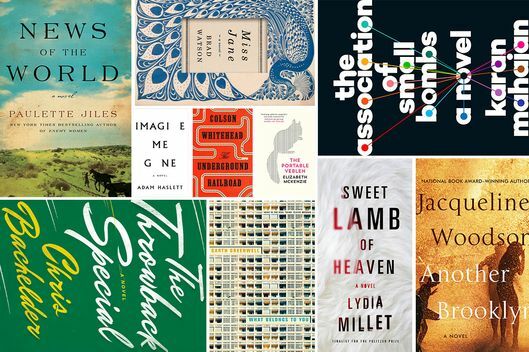 Below you’ll find some titles to get you through the long summer wait until Literary Masters posts the 2016-17 season reading list! This Must Be the Place by Maggie O’Farrell: Ah…this may be a little unfair because this title hasn’t been released in the States yet. However, by the end of July you should be able to get your hands on this wonderfully charming novel–highly recommended! You’ll ponder marriage, parenthood, and the many selves each of us contain as you read what is, at its core, a thoroughly enjoyable love story. 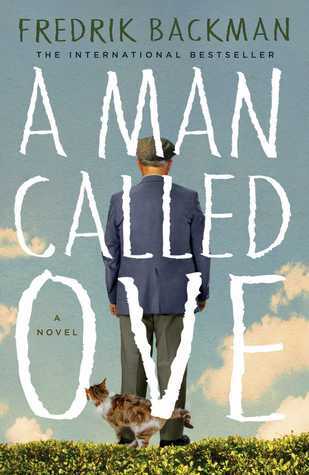 A Man Called Ove by Fredrik Backman: Another charmer, this time from a Swedish author, whose debut novel is taking the world by storm. About a grumpy man. Well, really about the stories each of us has hidden within, and about friendship, and connection. Enjoy! 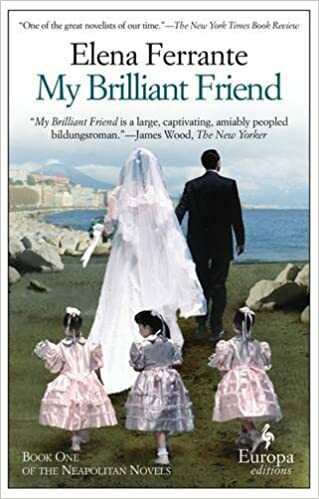 My Brilliant Friend by Elena Ferrante: If you’re one of the few people on the planet who hasn’t read this gorgeous book about two Italian friends, you have a treat in store! Actually, four treats, because it’s the first of four sumptuous Neapolitan novels. Be prepared to ignore loved ones for a long while. 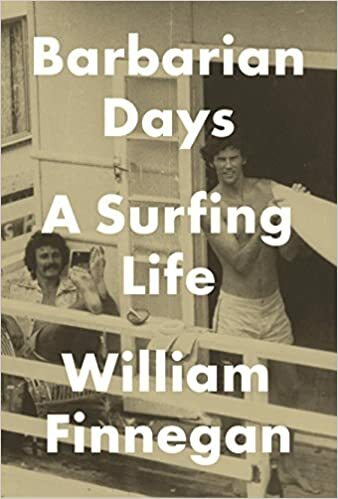 Barbarian Days: A Surfing Life by William Finnegan: Well, we had to put this book as a beach read, right? Even if you’re not a surfer, you’ll enjoy the journey this author takes you on in this autobiography that won the Pulitzer Prize. He opens your eyes to new cultures and to, yes, the wonderful world of waves. Have fun! Disrupted by Dan Lyons: No doubt you read an earlier WHIRL Books post about this hilarious memoir here. For fans of the HBO series Silicon Valley (and if you’re not a fan, what is wrong with you???) and also for everyone who looks around the beach and thinks, “where did all these young people come from, and just how do they think they are making the world a better place?” Laugh out loud with some serious questions explored. 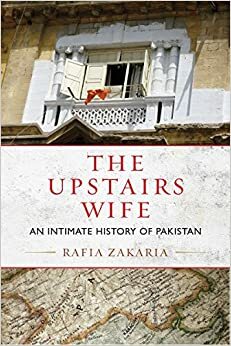 The Upstairs Wife: An Intimate History of Pakistan by Rafia Zakaria: If you can’t visit Pakistan this summer, it can visit you. Exploring the personal as well as the public aspects of life in Pakistan, this eye-opener is a great nonfiction choice for the summer. 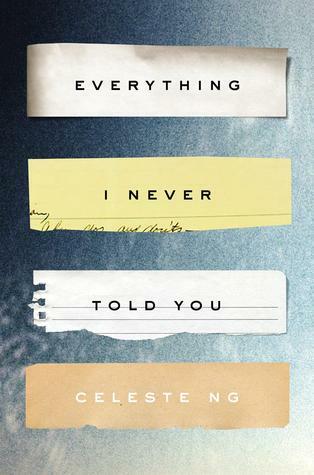 Everything I Never Told You by Celeste Ng: A gripping novel about a family whose daughter is found dead. How much did they really know about her? How much do they really know about each other? One of those books that absolutely lingers for days after finishing it. 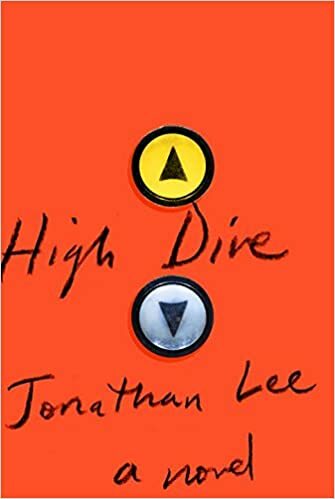 High Dive by Jonathan Lee: Suspenseful and thrilling in its blending of fact and fiction. Remember the bomb that went off in Brighton, England, in 1984 in an attempt to assassinate the British Prime Minister and her cabinet? Meet the characters (invented by Lee) who will take you back there. 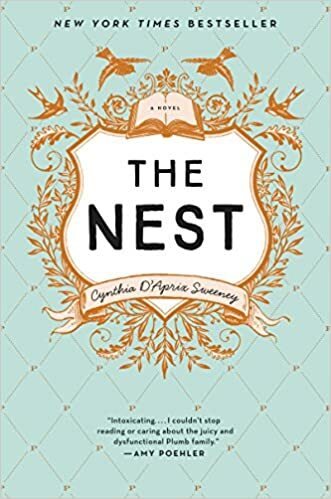 The Nest by Cynthia D’Aprix Sweeney: We loved the writing in this debut novel, and the four siblings, negotiating their lives around a future inheritance (i.e. the ‘nest’) will make lots of our own families look better by comparison. 🙂 A quick, breezy, enjoyable read. I Do Not Come to You by Chance by Adaobi Tricia Nwaubani: This award-winning debut novel from Nigeria was part of our Literary Masters 2015-16 season, and it was a hit! You may not think you want to read a story about email scamming, but you will change your mind as the pages fly by! So funny but once again, important themes are mined. The best novel that book clubs don’t know about. 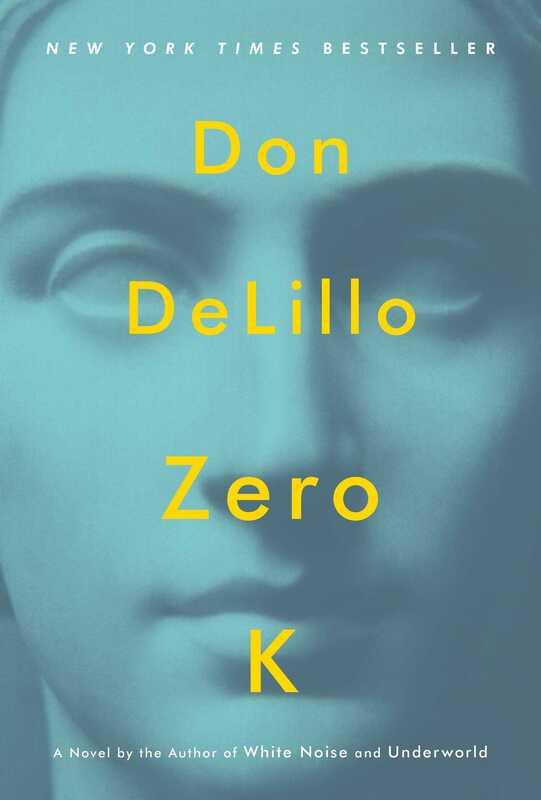 Zero K by Don DeLillo: Weird, yes, definitely. But compelling and thought-provoking and different for sure. Set in a cryogenics facility in central Asia where bodies can be frozen until cures for diseases are found, this novel will challenge you to think about those deep questions–about life, about death, about meaning. Call it a cerebral beach read. Well, this ought to take care of your page-turning needs until we post our list! That should be some time in late August, so STAY TUNED! Do you have any titles you’d like to recommend for summer reading? We’d love to hear from you! Should Your Book Club Read Disrupted by Dan Lyons? 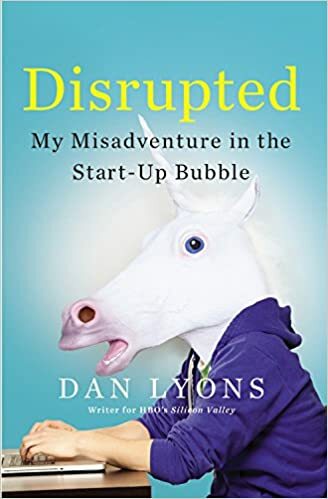 Another book that I think book clubs should read is Disrupted by Dan Lyons. If you’re a fan of the series Silicon Valley (HIGHLY RECOMMENDED), you may know that Lyons writes for that show. I ‘binge-watched’ the entire series in one go and then ran around telling everyone I know to watch it. So, when I saw that Lyons had written a book, I picked it up. Warp-speed plot summary: This is a memoir about Lyons’ time after he gets fired from his job as an editor at Newsweek. He’s 52 with a wife and two children and his career has suddenly come to a screeching halt. He’s a journalist and the world of journalism is done–as is he. So he does what many ‘older’ workers have to do: he reinvents himself and enters the unknown and surreal world of tech start-ups. He lands a job at Hubspot, a ‘hot’ start-up, as “marketing fellow,” and his experiences there are what he writes about. Lyons takes the reader on an hilarious and eye-popping journey as he acts as anthropologist and tour guide visiting an exotic and possibly dangerous tribe. You’ll want to discuss the company culture and what that means. What kind of corporate culture is good? It’s fascinating to think about how companies used to treat employees and how much that has changed, especially at technology companies in the Silicon Valley. How did this happen? What does it say about us as people, as a society? Is the way things are now better than they used to be? Is labor, as Lyons states, still being exploited by capital, but this time while wearing a big smiley face? Related to the above, talk about how a company gets its employees to “drink the Kool Aid.” And then discuss how a company gets its customers to guzzle the same drink down. Do you think many companies really DO make the world a better place? Also related to the above, talk about the greed involved in all of this. What is the motivation of the various characters involved? Also discuss the flaunting of wealth. What do you think of this? Areas such as the San Francisco Bay Area have been greatly impacted by the tech companies, in both good and bad ways. Talk about this. We always hear about the housing prices making it unaffordable for ‘ordinary’ people to live in the area, but what about the values of the City? Is the immense wealth and its unabashed display impacting citizens’ values and what they deem important, and how they behave? You’ll want to discuss ageism. Well, you may not want to discuss it, but you should. It’s real and it affects many people. Are you part of the problem? Do you think young people are smarter than old? Are they naturally better at understanding technology? Can they learn things that older people can’t? How old is ‘old’ to you? How can we stop ageism? Or are the ageists right? You’ll want to discuss the elephant in the room. How stupid do tech executives, their spin doctors, venture capitalists, and their spin doctors, as portrayed by Lyons, think we are? Do you think Lyons’ depiction of these people is accurate? 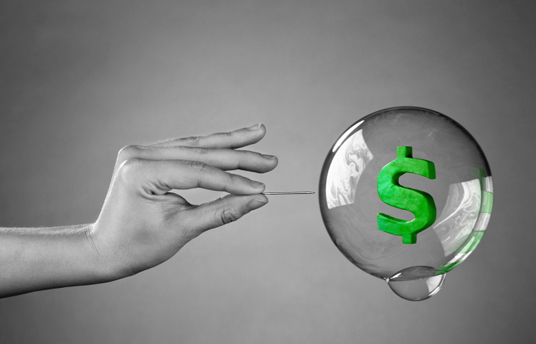 Is it high time someone pointed out the ridiculousness of the bubble, or is it, as a couple of execs claim in the story, not a bubble but “an unprecedented long boom”? What about the business model as Lyons describes it: “grow fast, lost money, go public.”? How are companies (which are made up of people) getting away with this? You’ll want to discuss the idea of marketing, PR, spin, and sales. Can truth exist in such an environment? Where is the responsibility of the press in all of this? Does an objective press even exist, or is every journalist also being ‘spun’? There is a LOT of psychology in this book. People are playing ‘mind games’–manipulating employees, investors, and customers. Other people seem to willingly let themselves be exploited. You’ll want to discuss this. What are the motivating factors behind the roles the characters elect to play? What about the role you’re playing? Lyons refers to a Silicon Valley adage--if we use online services, we are not the customers, we are the products–we exist solely to be packaged up and sold to advertisers. How do you feel about that? You’ll want to discuss the author. Clearly, this is HIS story, and no one at Hubspot has a chance to speak up for him or herself. How much can we trust Lyons? Although he can be self-deprecating and admittedly acerbic, is he being completely honest with us? How about with himself? He criticizes the frat-boy culture, but then whoops it up with writers who don’t seem any different. Is this a case of “Do as I say, not as I do”? Is the “tribe” that he feels more comfortable in vastly different when it comes to ageism, sexism, racism, and all the other –ism’s? How much of what he goes through at Hubspot is his own fault? Is he being fair to Hubspot? You should also talk about how vulnerable we all are with regard to our data being online. How do you feel about Lyons’ statement: “Even the people who supposedly manage our data have no idea where all of it resides or who has access to it.”? 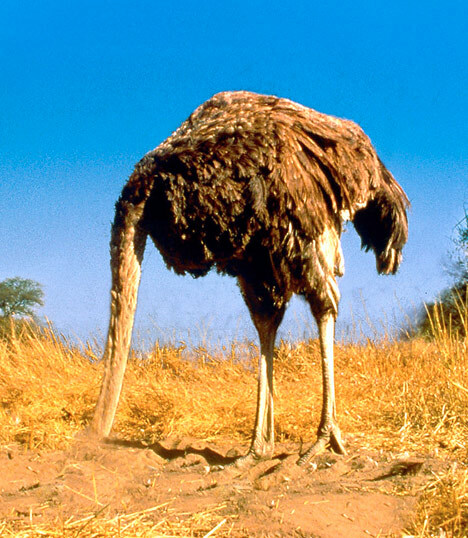 Does it make you want to bury your head in the sand further? There is, of course, much more to talk about, but this should get you started! Have a great discussion, and let me know how it goes–if you get a chance! Vendela Vida at a Book Talk: Sign Me Up! 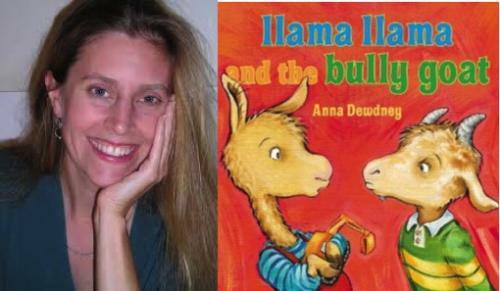 I just returned from a local school’s book fair where the featured speaker was Vendela Vida, author of the recently released The Diver’s Clothes Lie Empty. What a lovely person Ms. Vida seems to be, which is, of course, irrelevant, but still–I think the world needs more lovely people. She read from her new novel, and now I can’t wait to read it! You’ll remember from one of my earlier WHIRL posts that I loved her novel The Lovers. (Click here to see what I had to say about that.) This new book seems to be exploring themes of identity–of who we are and what shapes who we become. Written in the second person, this sounds like a book Literary Masters members would love to ‘dig deep’ into! 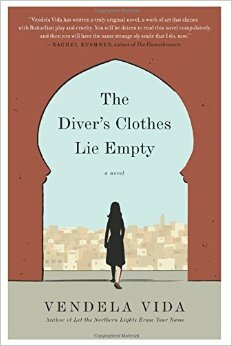 Have you read The Diver’s Clothes Lie Empty? What did you think? I went with some women from my personal book club, and now we are re-reading the book for this month’s selection. 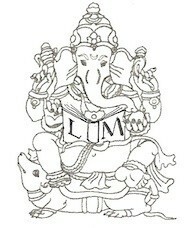 How WONDERFUL is this? And WONDROUS! He made me feel better, too.